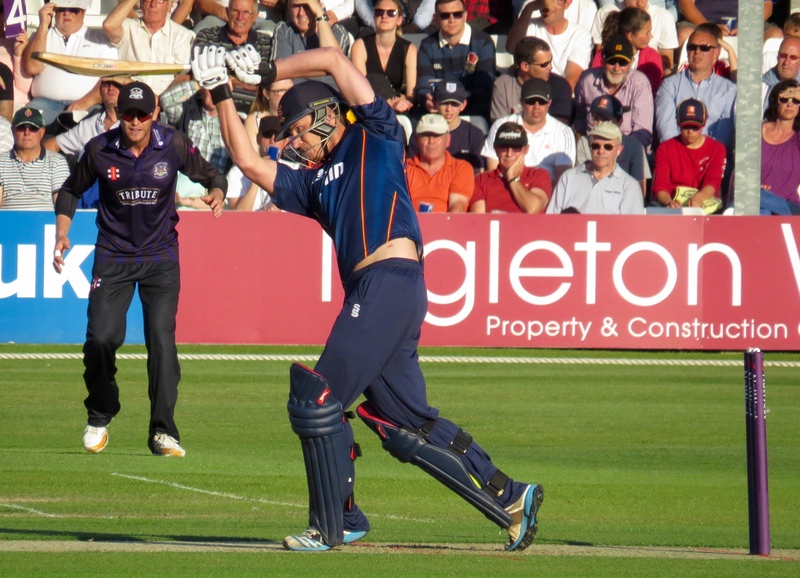 My Friday, in other words, Thursday, saw another Essex T20 Blast fixture, this time the visitors were Gloucestershire. 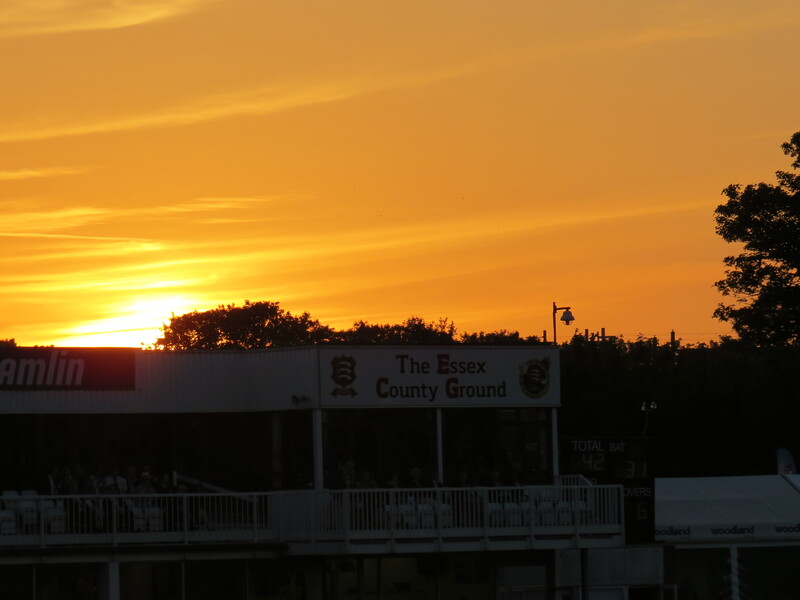 The joys of having the County Ground on my doorstep meant I had time to pop home after work before heading to the Members parking at Meteor Way. I’d chosen unallocated seating, which on this glorious evening meant sitting in the shade! 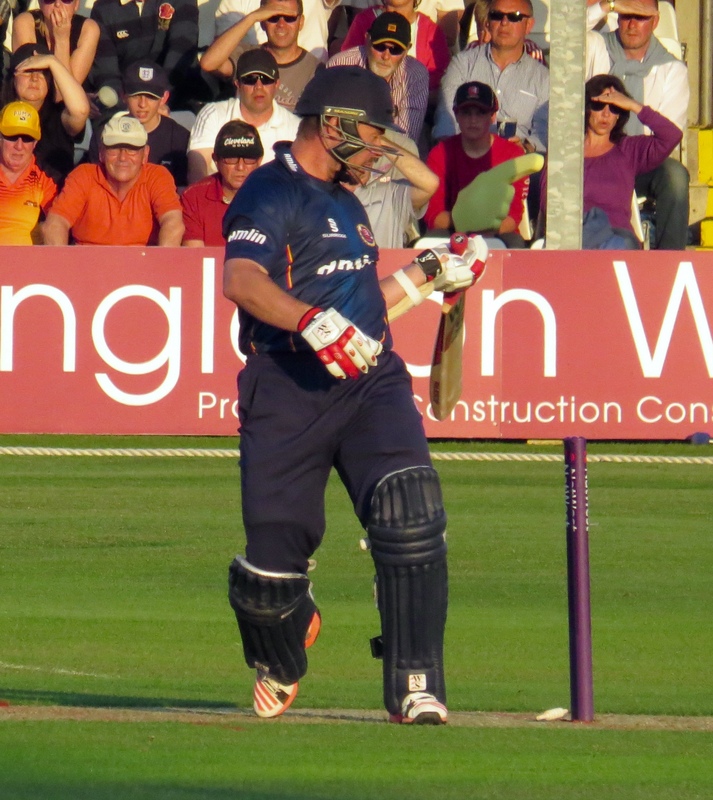 Bit of a blow, but I managed to get a front row seat which always helps on the photo front. Seat secured I went on search of ‘tea’ – there was a (small) choice of sandwiches but no cake on show! A request sent someone off in search for cake, he retuned with a very tasty cake – all 6 slices! Not that I wanted 6, I only wanted 1 – but goodness I’m sure others would partake! My friend Tina was in situ, but had gone the allocated route, we sat in the pavilion for tea etc – Tina ate the cake before the sandwich – weirdness! Match time arrived so we went our separate ways for the first innings at least. 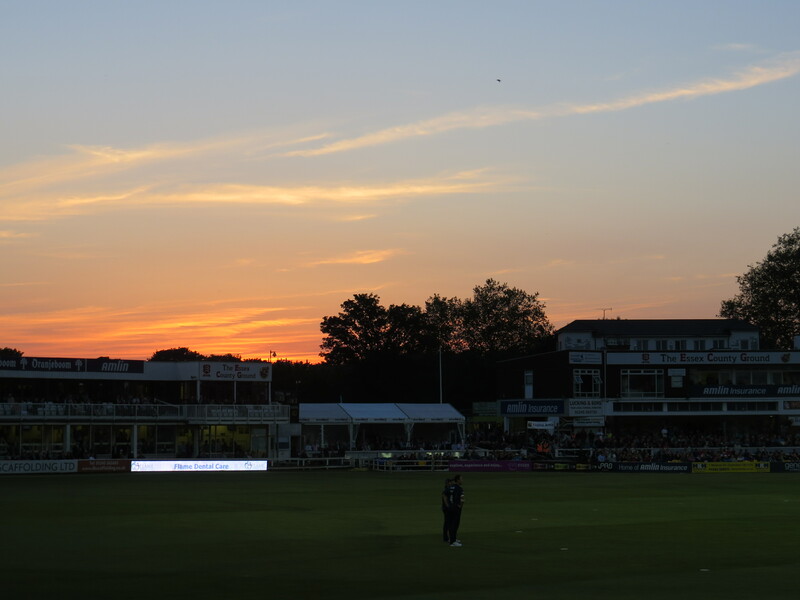 Lots of photos on show here, but not so many of the Gloucestershire innings, my camera goes all ‘slow’ as the lights start to go – floodlights don’t quite do the trick. A few different effects too – has to be done! 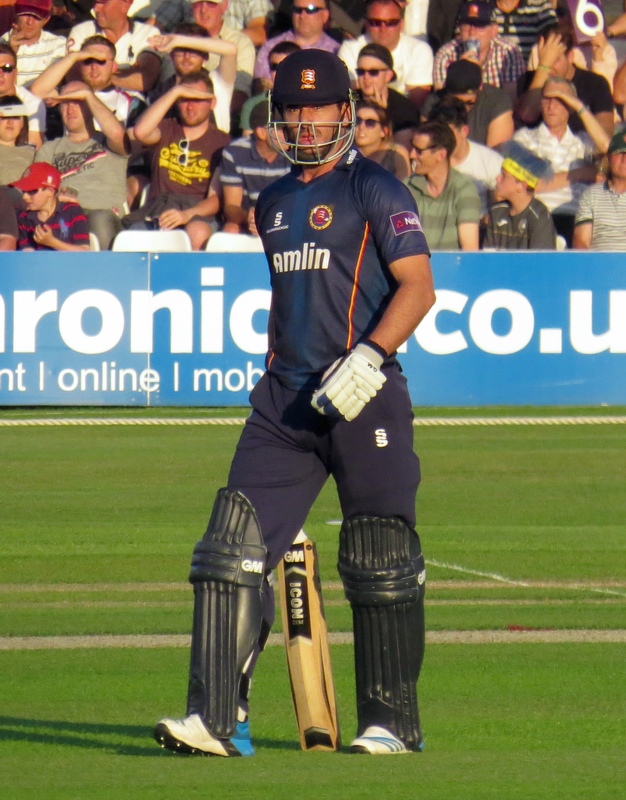 Essex were first to bat – Mark Pettini and Jessie Ryder opening the batting. I don’t think I’d be too wide of the mark (see what I did there) to say Pettini was on a mission! 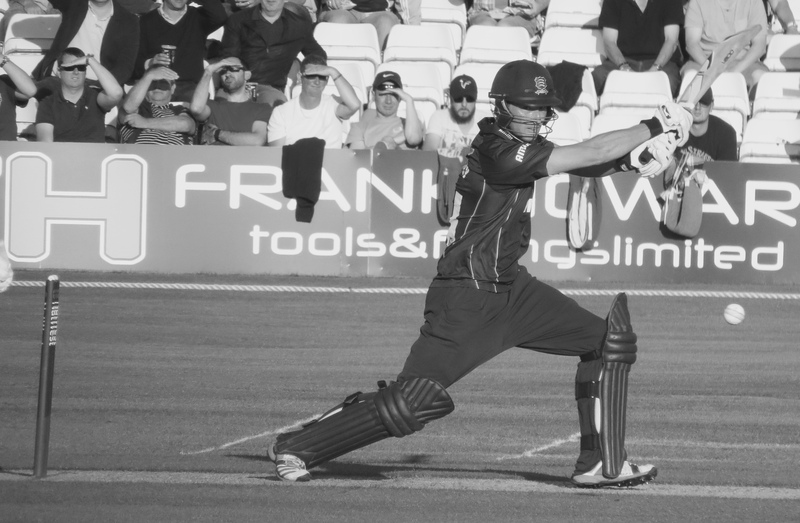 Ryder as possibly in the same mindset, however he hit two 4’s, faced 9 balls, scoring 10 runs in total before he was caught by Benny Howell from the bowling of David Payne – mission aborted! 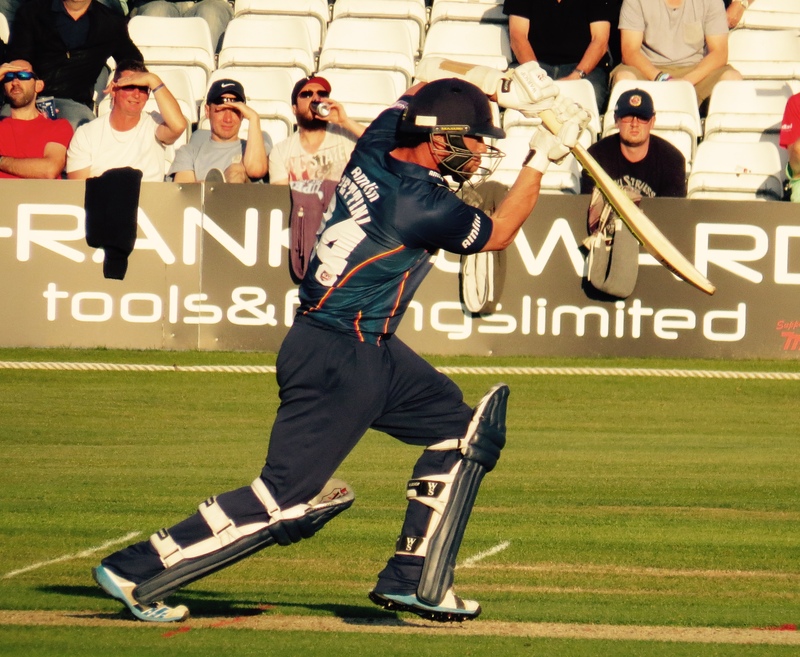 Tom Westley joined Pettini who hit a very entertaining 68 runs from 44 balls – he hit 10 4’s, including five in one over and one 6! 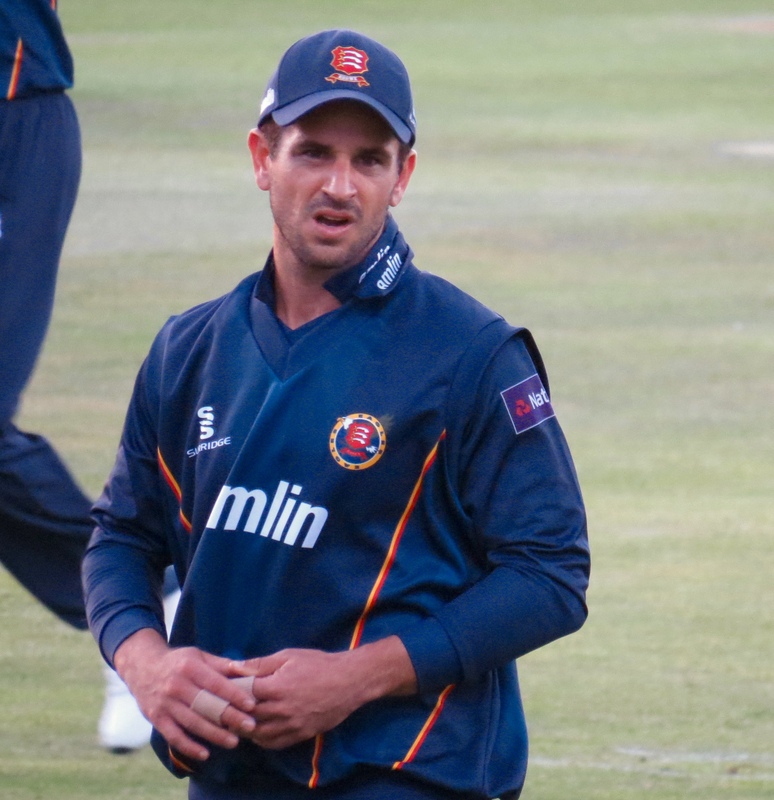 Pettini’s time with Essex in recent years has been a bit up and down, but this was him showing his batting skills at his best! 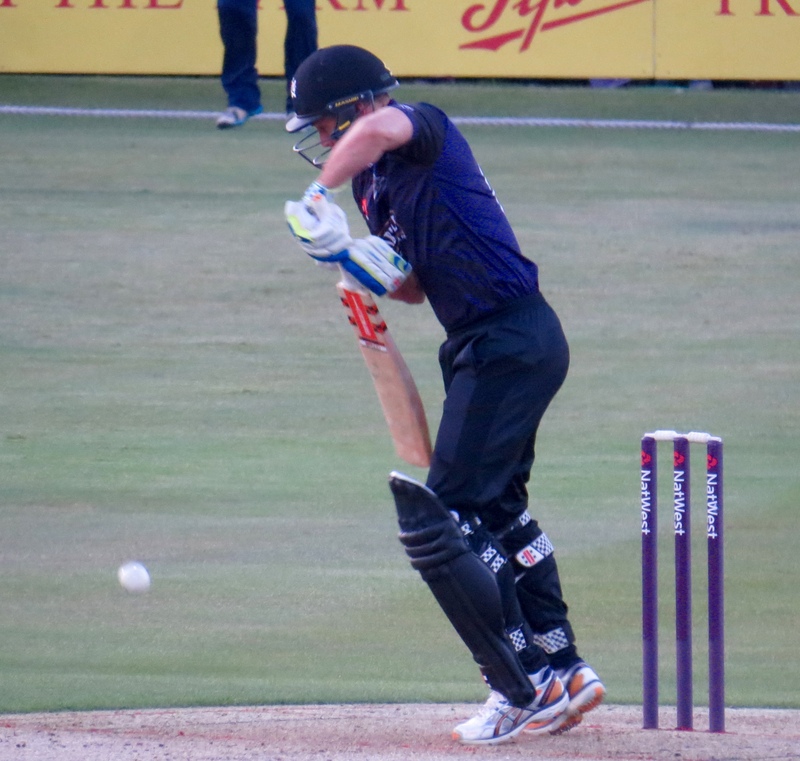 His fun was halted when he was stumped by Geraint Jones from the bowling of Kieran Noema-Barnett. 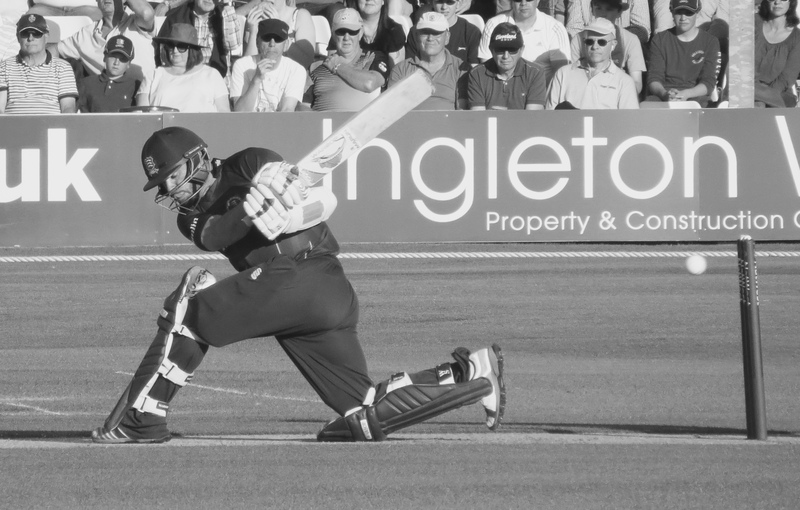 It was to be a very useful knock! 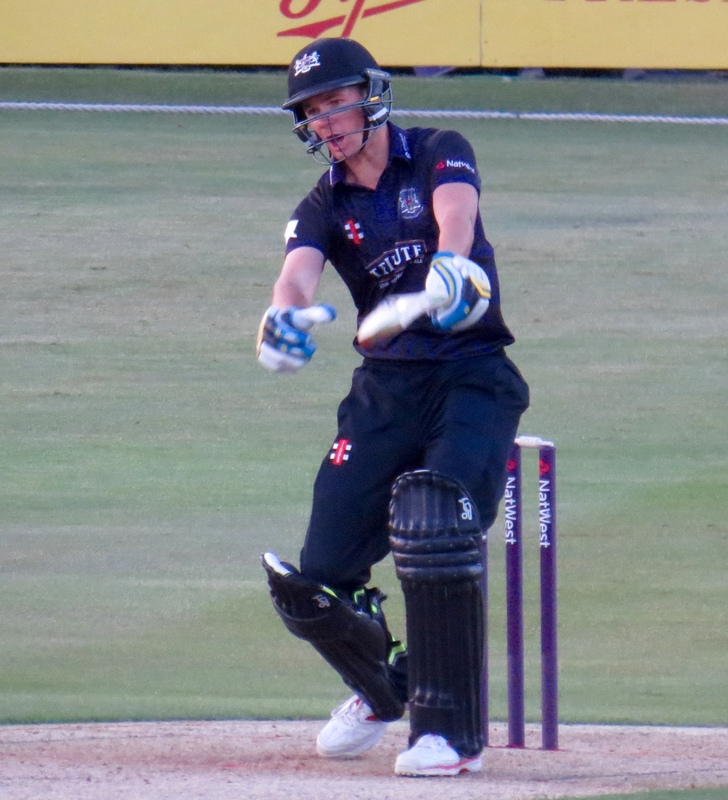 Westley had been steady at the other end making 23 from 22 balls with a solitary boundary, he followed Pettini back to the pavilion with only 4 runs added, caught by David Payne, off the bowling of Tom Smith. 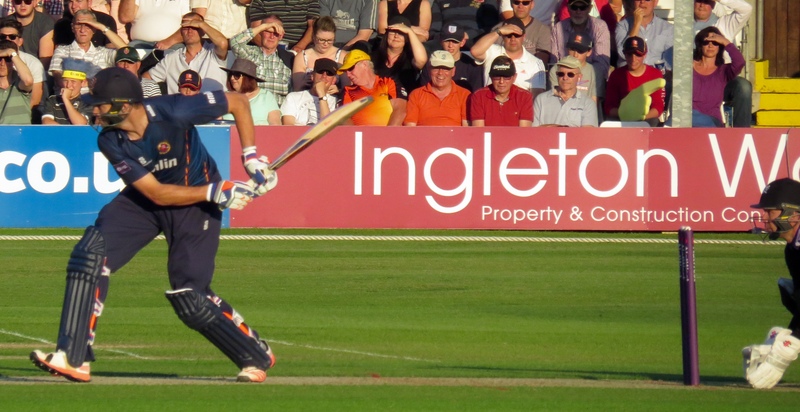 Essex were on 118 for 3 – Ravi Bopara had joined Westley, but promptly had the walk back, with 3 to his name from 5 balls LBW to Tom Smith – 118 for 4! 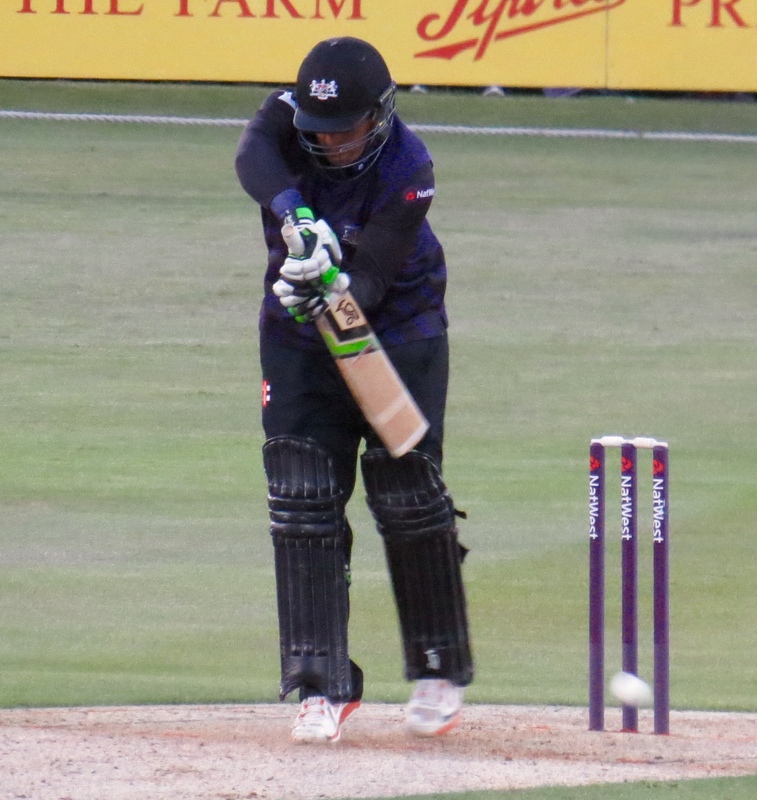 Nick Browne matched Bopara – 3 from 5 balls before he was on his way back – another stumping for Jones another wicket for Smith! 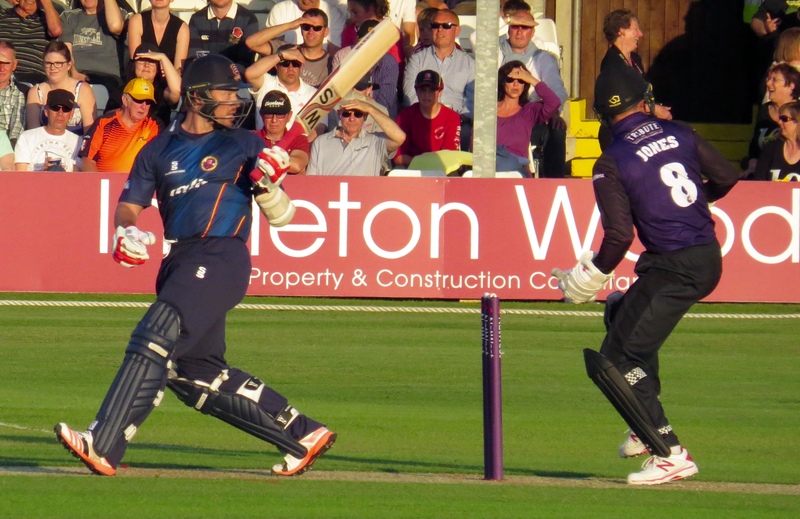 With 2 new men at the crease in Ryan ten Doeschate and James Foster Essex were in need of runs. 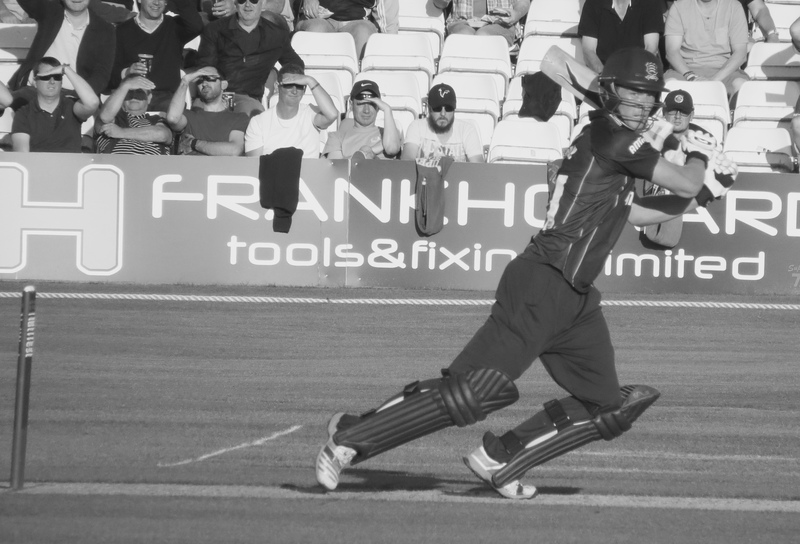 Both men are fully capable of hitting a good total and set to it. 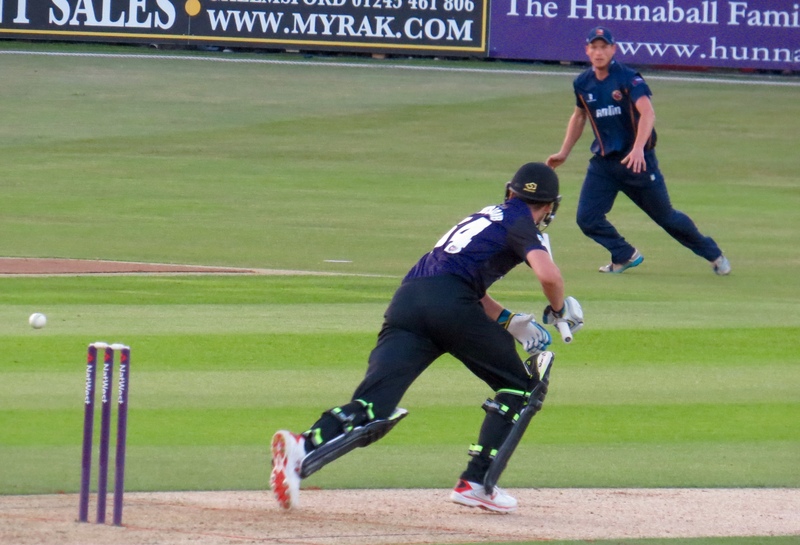 If I was to say ten Doeschate was furious at the manner in which he lost his wicket I think that might be an understatement! 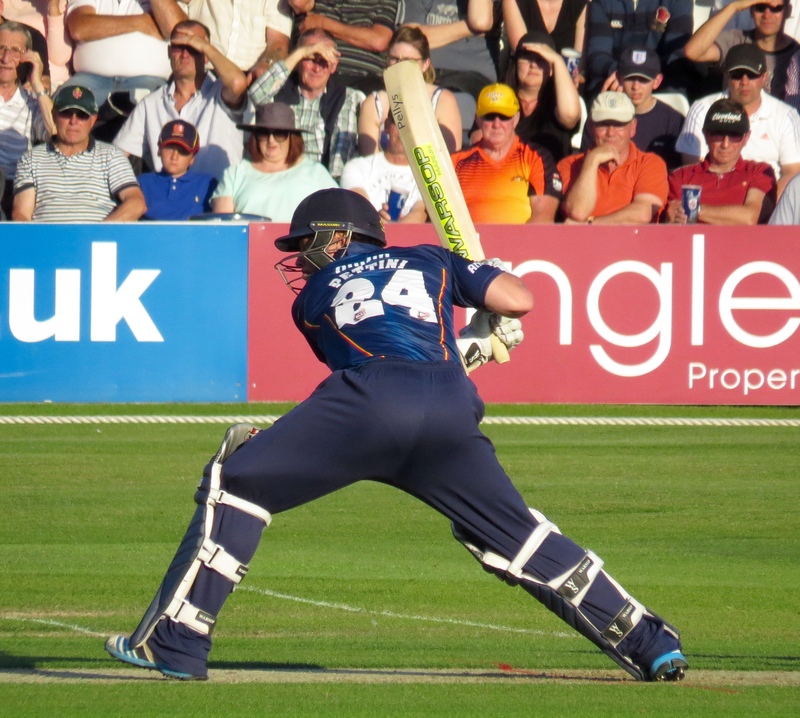 He was run out by his team mate, Foster calling a run where thee really wasn’t one! 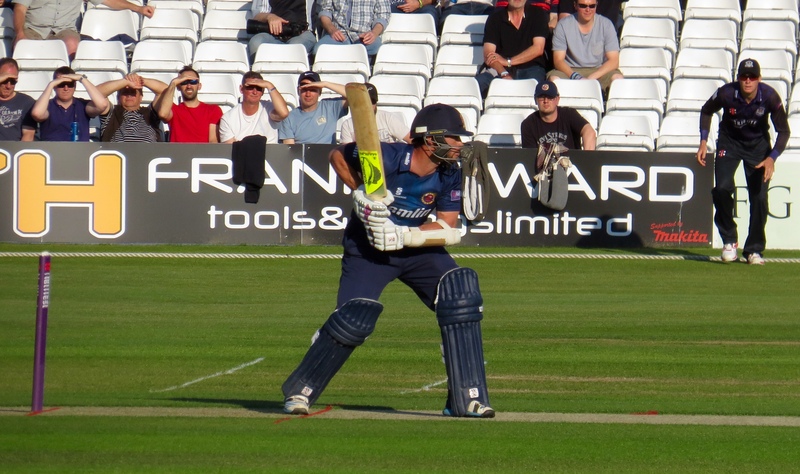 How he didn’t break his bat on the walk to the pavilion I do not know! 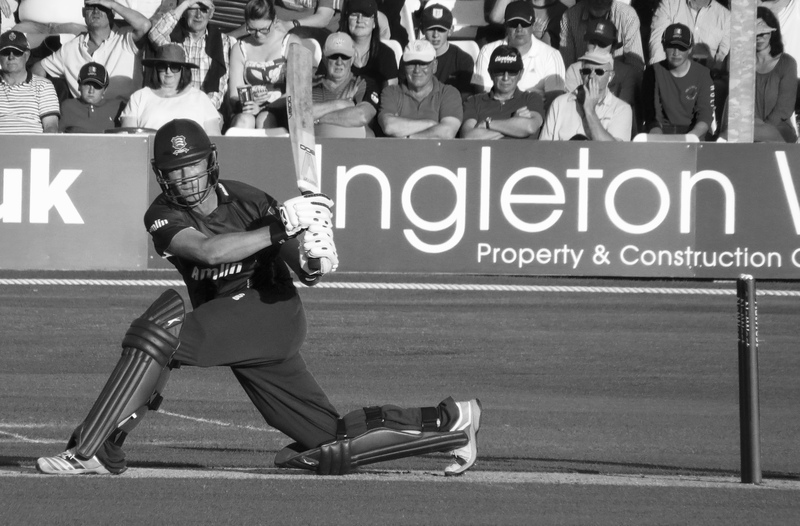 A useful 21 runs in 14 balls for the captain. 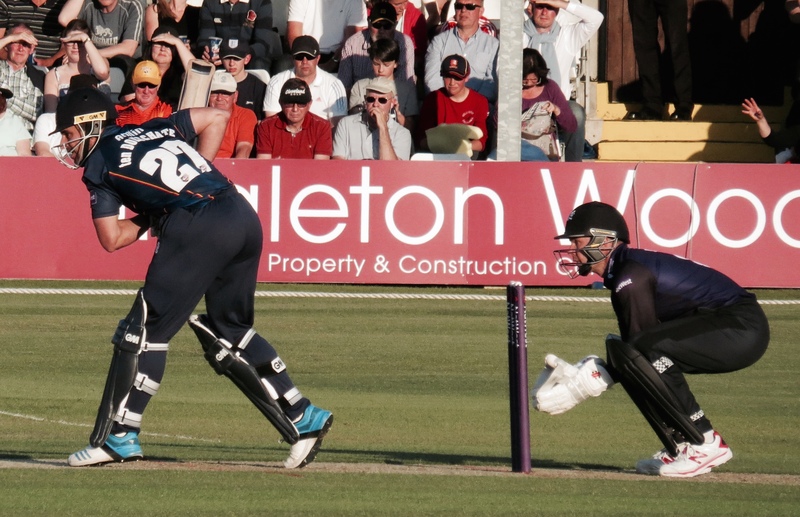 Graham Napier was next to the crease; Foster was next to take the walk back, he was caught by Ian Cockbain from the bowling of David Payne. 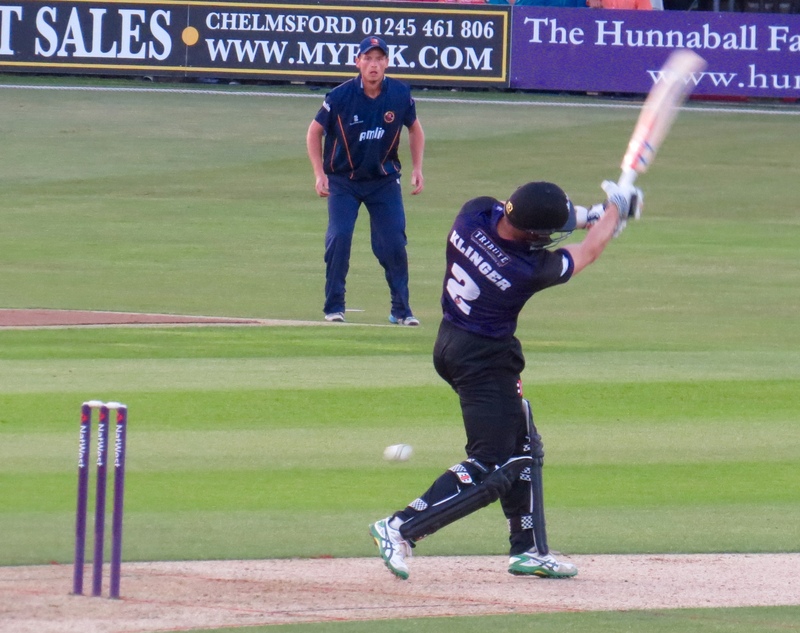 Napier hit 16 runs in his 10 minutes falling to a good ball from James Fuller. 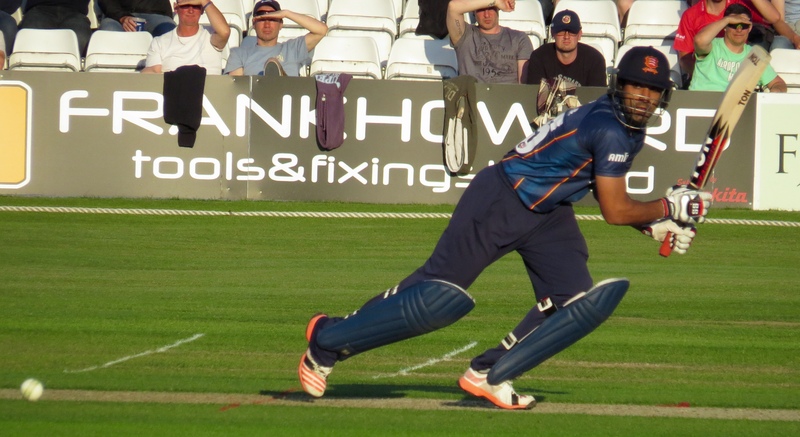 Krishen Velani had the same fate – bowled by Fuller for 1. 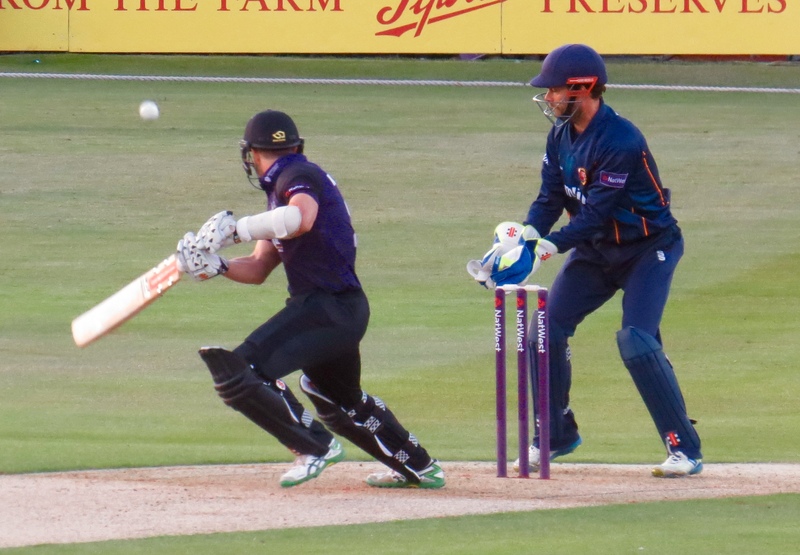 With David Masters and Shaun Tait at the crease a single run was added by Masters, Tait was run out in the quest to add another. 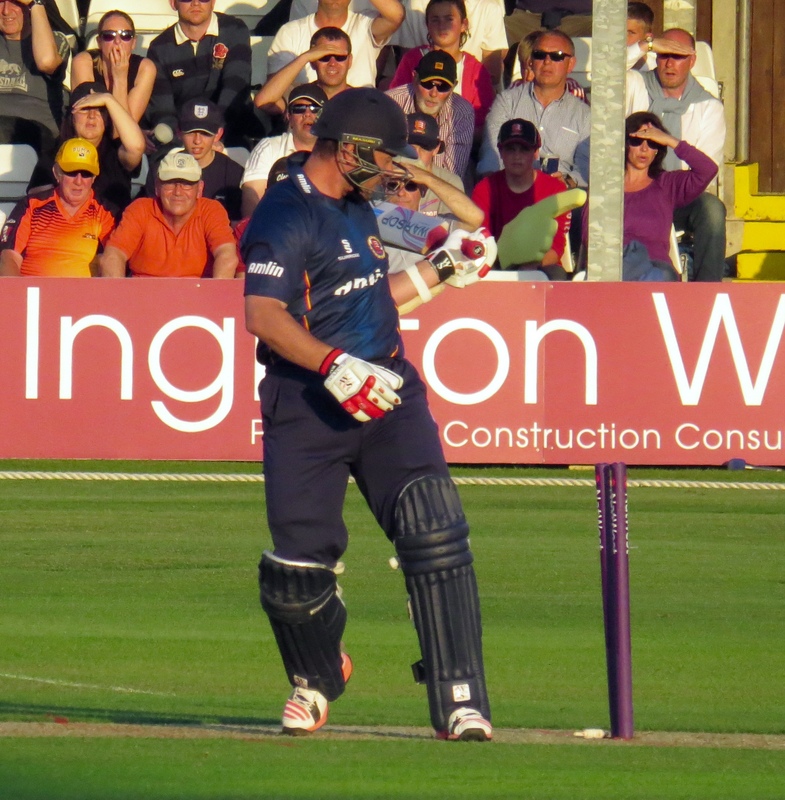 Essex finished on 181 All Out. Having seen that there were plenty of free seats I joined up with Tina and another friend Stella in the break and went in search of the last few remnants of sun and warmth. 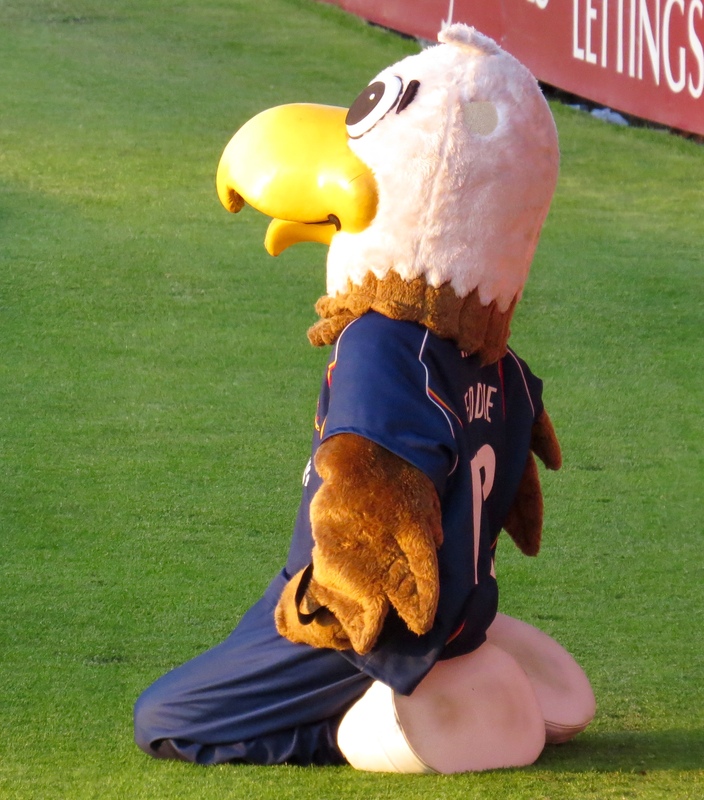 A quick moan before a short description of the visitors innings. In line with the whole T20 Blast thing we had cheerleaders for the evening – that’s good thing in my books, it’s a skill and a way to encourage girls to exercise. What wasn’t good was the way these young girls were dressed! Skimpy ‘shorts’ to say the least! 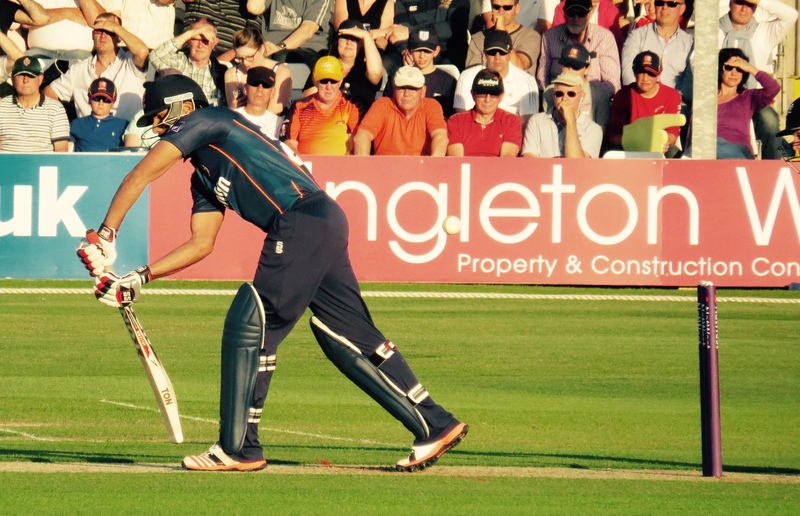 Completely unsuitable in my opinion – I hope they review that before the next game! 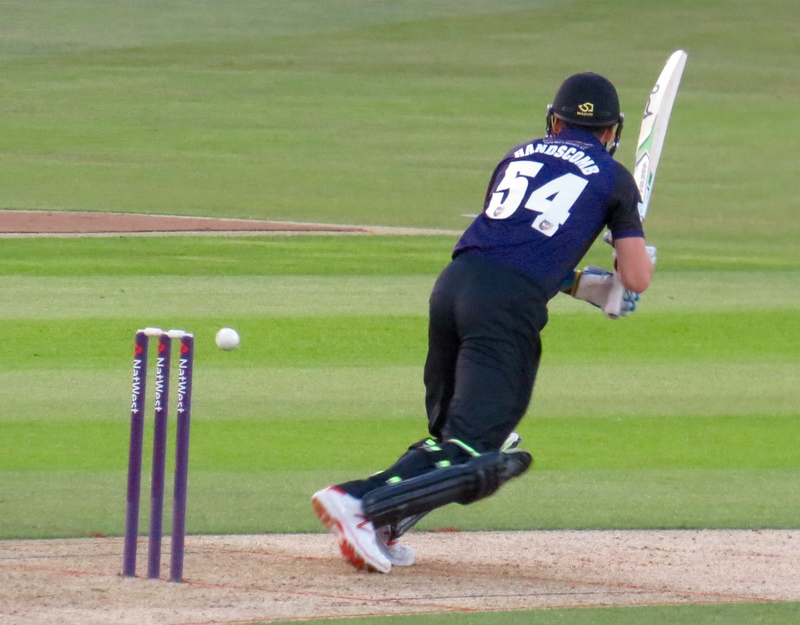 Back to the cricket – 182 to chase was highly do’able for Gloucestershire and one man in particular had a very good go at reaching that score. 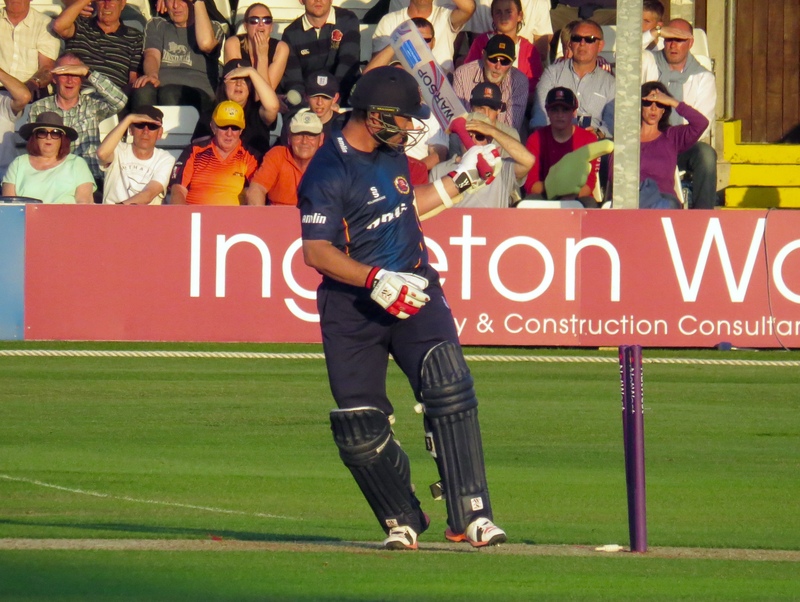 Michael Klinger hit a wonderful 104 from 64 balls – his innings was a delight to behold! 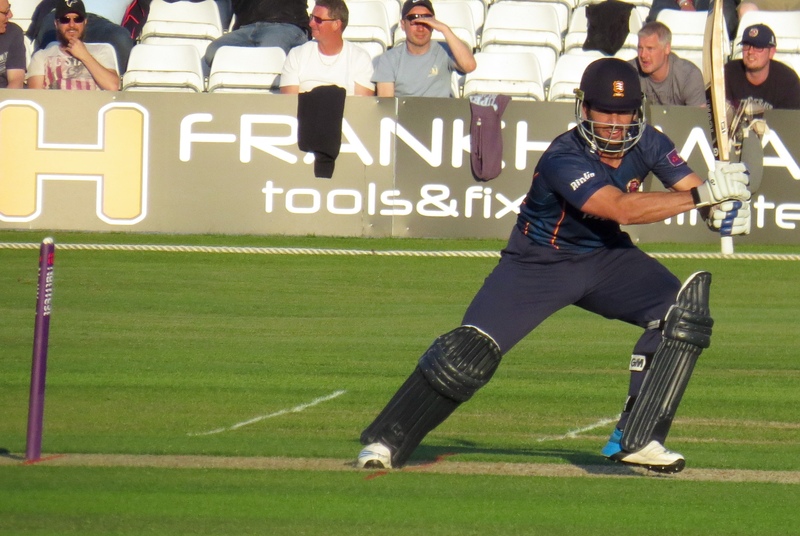 Strange thing for an Essex fan to say, but he was superb! 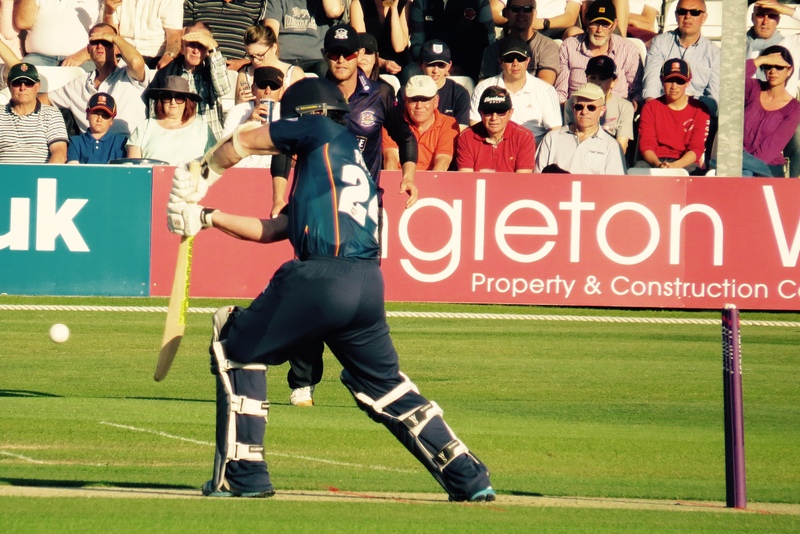 The rest of the batting line up were his foil – but with the exception of James Fuller who came in at 9 scoring 26, the next highest score was 10! 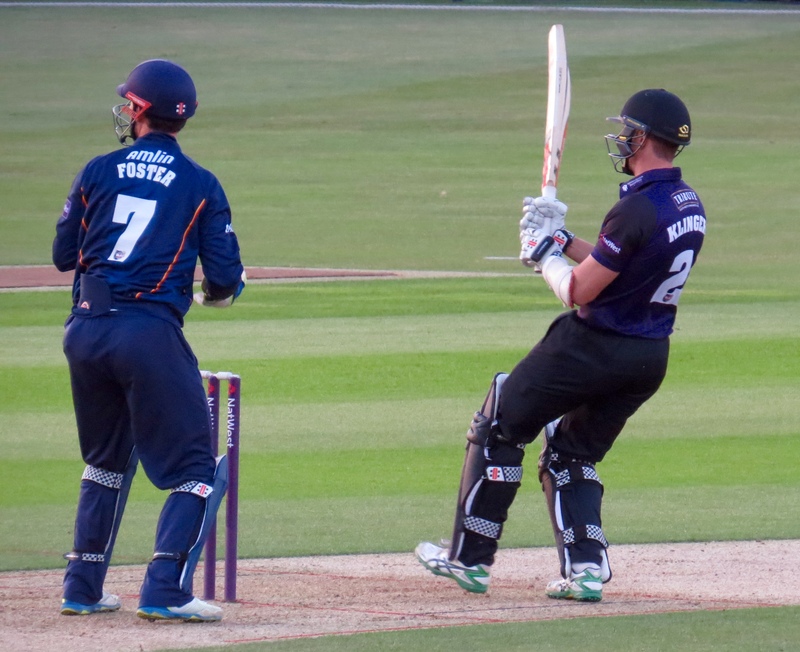 The Essex bowlers shared the wickets out – Napier with 3, Westley 2 and Masters and Tait with 1 apiece. 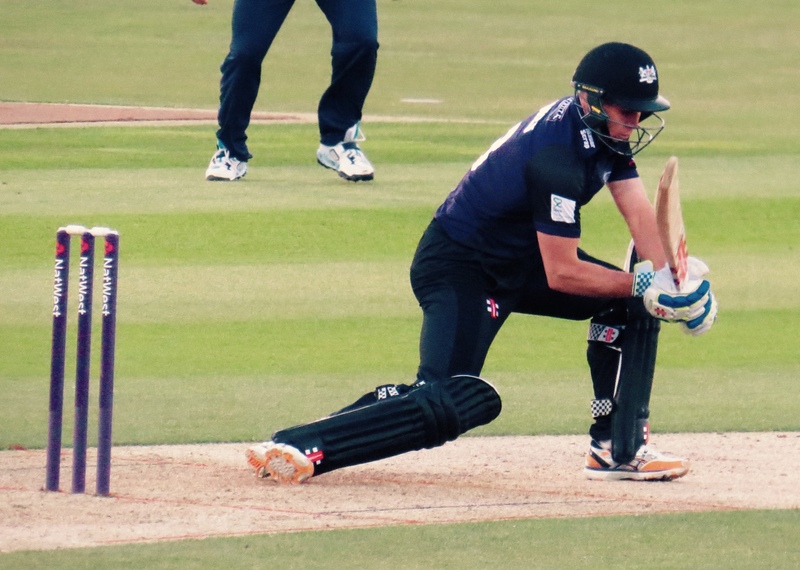 The other batsmen along with extras managed to add only 59 to Klinger’s total – with the 20 overs bowled Gloucestershire finished on 163 for 7 – another valuable win for Essex! As much as I’m a sports fan first and foremost it’s always good to come away after a game won by your team! Smiles all round! 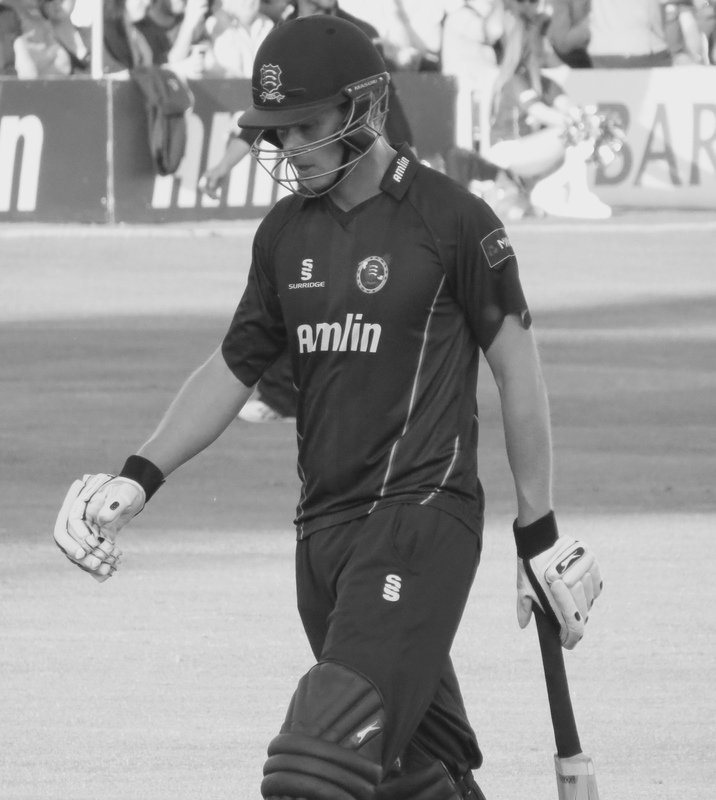 Next up for me, some international cricket at The Oval! Oh, and I couldn’t resist the beautiful sunset!